In its own words, Faloria Mountain Spa Resort is: “Charming hospitality in the heart of the Dolomites”. 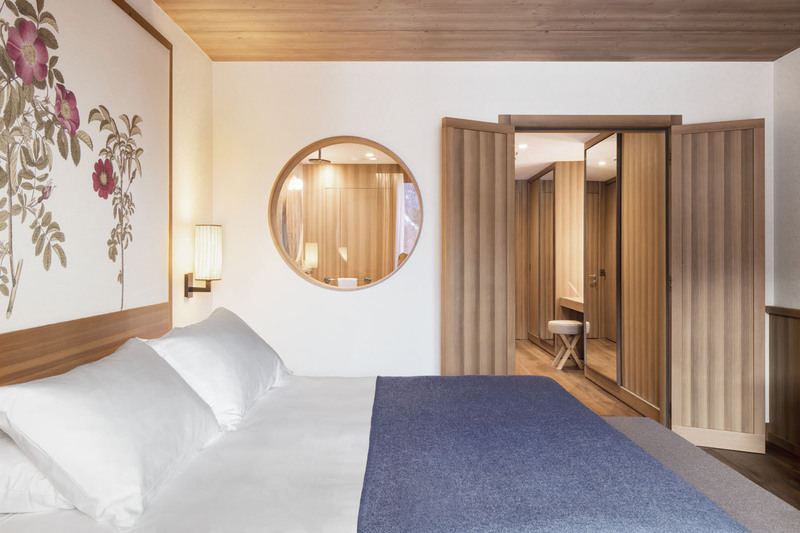 The historical hotel in Cortina, which gave its first glimpse of its new design concept last year, has reopened following an expansion and renovation. 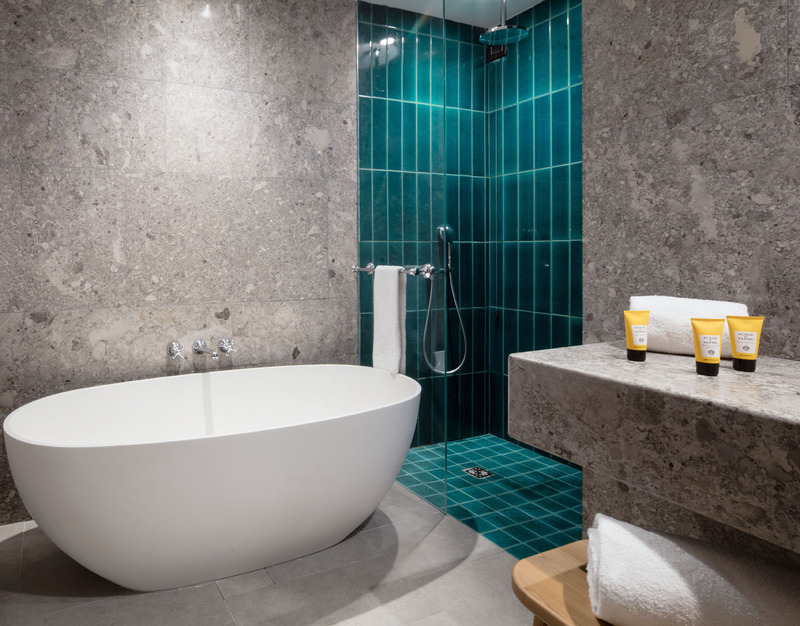 Establishing a new benchmark in the hospitality of the entire Alpine region, the hotel features new guestrooms, a spa covering over 1000 sqm, a gourmet restaurant and new common areas. It now reopens with the aim to allow guests to live an unforgettable experience in accordance to the highest international luxury standards. The project architect Flaviano Capriotti, has designed an environment inharmony with the surrounding landscape, where Alpine tradition meets contemporary accents. The new guestrooms offer guests an exclusively refined environment, where the charm of mountain furnishings is combined with a contemporary touch. The rooms are wide and bright spaces, with huge windows to enjoy an enchanting view of the Dolomites. The parquet, boiserie and tasteful details lend a delightful domestic flavour, without forgoing refinement and exclusivity. The bed headboards are designed with botanical drawings of the local alpine flowers, selected from the Florae Austriacae atlas, written by the botanist Nikolaus von Jacquin in the 18th century. The botanical theme then becomes a common thread throughout the SPA, the common areas and the restaurant. 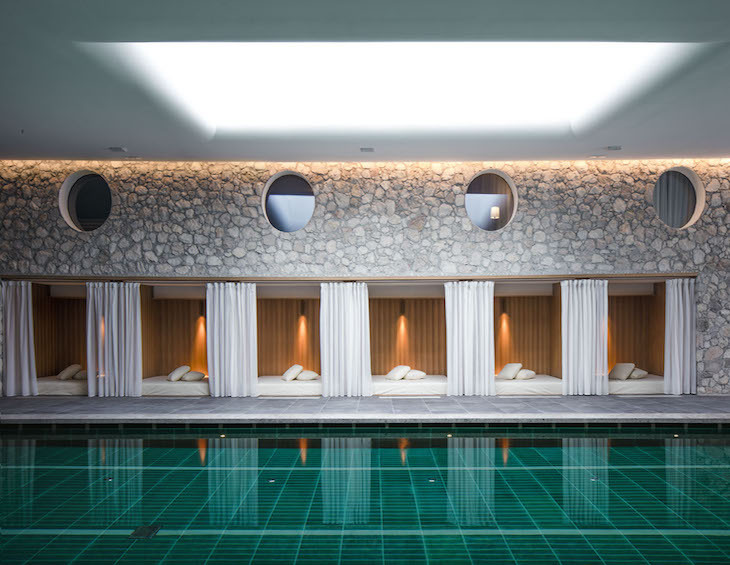 The new SPA Area, the largest in the entire Alpine region, is a veritable jewel. A surface area of more than 1000 square metres, where guests can enjoy a unique sensory journey with 25-metre long semi-Olympic pool, sauna, ice fountain, calidarium, vitality pool, chilling out areas and private treatment rooms. The Spa offers an emotional experience targeting all levels of perception: visual, tactile, olfactory and emotional for a regenerating holiday. Materials and colours recall larch woods, the stone of Dolomite rocks and the green of lake water, so that guests feel they are immersed in the nature of Cortina.